Most pool owners will carry out a regular check on the key pool water factors such as pH, Total Alkalinity, Chlorine levels and Calcium Hardness. However these do not provide the complete picture as to what is happening in your pool and often a more comprehensive understanding is needed. However there may be issues with dissolved minerals in the water, (cloudy water, white powdery material on pool surface) along with corrosion of surfaces and equipment. Left undetected these can result in expensive upgrades. The Langelier or Saturation Index for pools will identify these issues beforehand and can save you considerable expense and pain. The concern with water saturation results from the aggressive nature of dissolved minerals in water – particularly Calcium Carbonate – which can lead to scaling or etching of plaster and metallic equipment. It is a relatively new concept for pool and spa professionals and deserves to be thoroughly understood. In the past, water saturation was left to hazard and the results were that some pools would last forever while others would need constant repairs. The Langelier or Saturation Index is a calculation used to determine the adequacy of the pool or spa water chemistry, as it relates to corrosion and scale-formation. The adjustment of the pH, total alkalinity or calcium hardness can be used to adjust the Langelier Index, so that it falls within the ideal range. Corrosion is a major concern in swimming pools and is caused by acidic conditions and/or the absence of proper water balance. The factors that contribute to corrosive conditions include: low pH readings, low total alkalinity and low calcium hardness (soft water). Corrosive water conditions are more likely to cause irritation and sensitivity to chlorine. Scale-forming conditions, associated with cloudy water conditions, are caused by alkaline water conditions and/or the absence of proper water chemistry. The factors that contribute to scale-formation include: high pH readings, high total alkalinity and high calcium hardness (hard water). Scale-forming tendencies are more likely to be associated with cloudy water problems and a loss of chlorine efficiency. 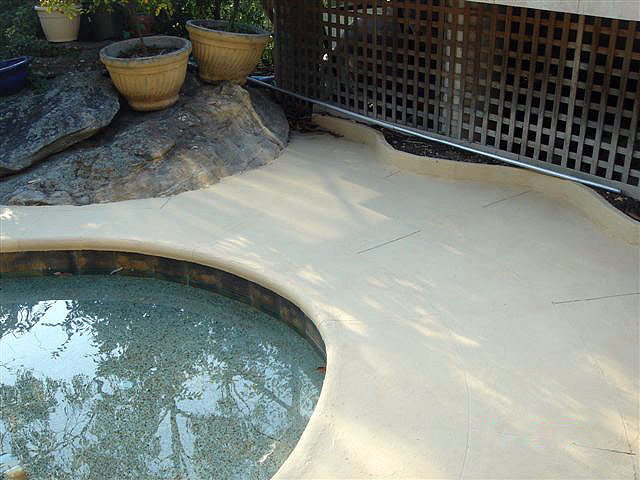 At a given temperature, swimming pool water chemistry must be balanced by adjusting pH, alkalinity, and calcium hardness in order to maintain the proper saturation with respect to calcium carbonate to avoid corrosion of metallic surfaces, etching of tile grout and plaster, scaling, and cloudy water. How to test the saturation index of your pool. The saturation index of your pool’s water is a key component to pleasant swimming. This test will tell you whether your water is too acidic, too basic or just right. Water that is too basic or too acidic can ruin your pool. Luckily, testing the saturation index is a simple process. Record your pool’s temperature. This can be done with a simple pool thermometer, which you may already have. If not, a pool balance kit contains one. Let the thermometer rest in the water for several minutes before taking a reading. Test the pool’s alkaline content and record the results on paper. The alkaline content can be measured by taking a sample of water in a tube, adding a chlorine neutralizer, adding alkalinity test agent and checking your reading. These items are included in the test kit. Dip a calcium hardness testing strip into the water. Let it rest in the water until it gives you a reading. Write this reading down with your other findings. Place a strip of pH testing paper into the water. Note the colour it reads and compare it to the chart contained in your kit. Record the reading. Apply your findings to this calculation: pH + Temp + Calcium Hardness + Alkaline – 12.1. The answer will be your saturation index. An ideal reading will be between -0.5 and +0.5. You can use the link here to get an immediate answer along with solutions to the results you have.